Posted by Julien Melissas on September 16th, 2015 . With a Scoville Rating of up to 2.2million, this pepper is no joke. This year, my mother bought me a bunch of pepper plants from the local farmer’s market, and the Reaper is one of the happiest pepper plants I have in my pepper bed. For those who didn’t know, I love spicy food. During the summer, when my plants are doing their best, I eat about a habanero every/every other day, and I have about 15 hot sauces in my pantry/fridge at any given time (and yes I still love Huy Fong’s Sriracha). 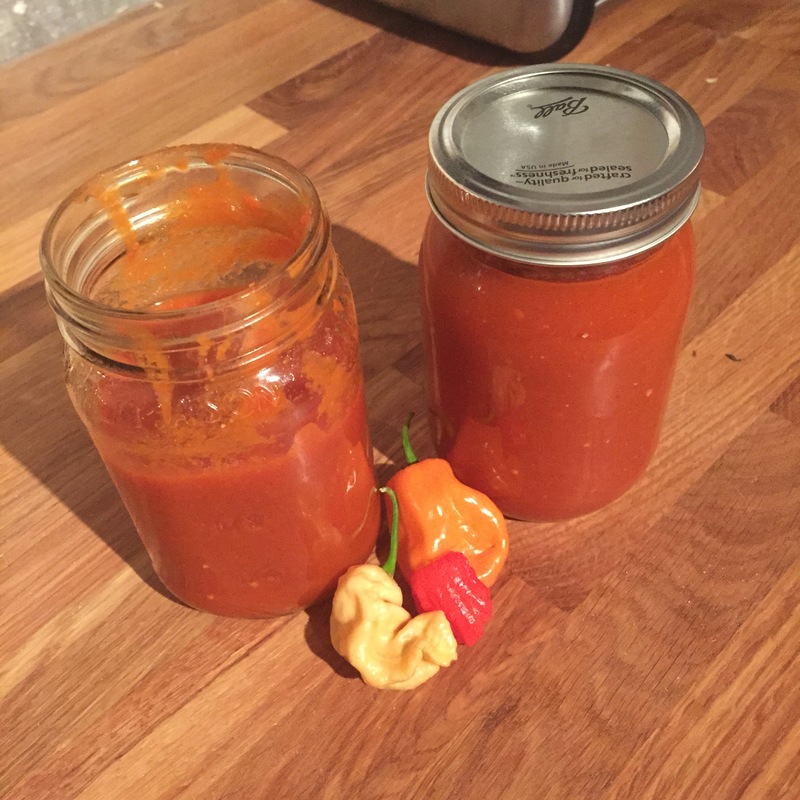 I made a hot sauce. And it’s actually really good. I’ve always wanted to make my own hot sauce, so the other day when I realized I had more peppers than I knew what to do with, I decided it was time to give it a try. I don’t actually know where to get Carolina Reapers, but if you can manage to find some, or grow your own, I’m sharing the recipe, and it’s actually pretty easy! The peppers. 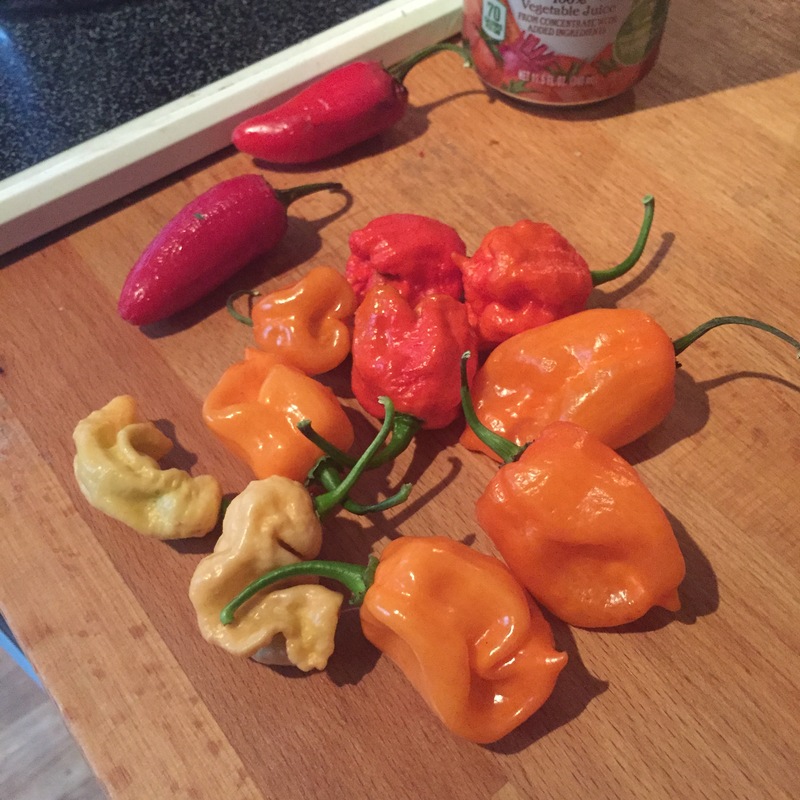 I also used my peach ghost peppers (the weird wrinkly looking ones).